In recent days, the Judiciary of India has faced a lot of problems. Among these problems, pending of important cases is the most significant. 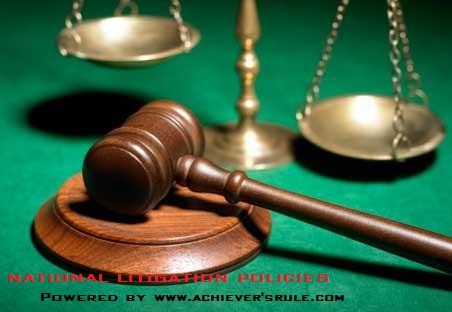 To combat with this kind of problems, Government of India has launched the National Litigation Policy(NLP). Lack of digital connectivity of the courts nationwide. Conflict between the Judiciary and the executive. Vacant position of judges in various High courts and Supreme courts. Several number of trials due to pending cases. Inefficient working mechanism and excessive litigation of the Government which is the main reason of pending cases. In the Empowered Committees created by NLP to implement the policy properly, there is a lack of clarity among the members.Due to this,transparency of the policy is lost. NLP offers accountability but does not mention the detail about the punishment if the policy is violated by any official. There is no adequate data which can be used to monitor the functionality and successful execution of the policy. NLP is not implemented properly in India. There are lots of policies which are difficult to implement. It elaborates lots of examples regarding the problems. But it lacks detailed analysis focusing the reasons behind the excessive litigation of the Government. As there is no particular measurable benchmarks to distribute the responsibilities and efficiency in the policy,the appraisal of the performance can not be done. Role of different departments of the Judicial system must be stated very clearly. There must be a particular standard which must be followed by the Government to carry forward the litigation. There must be sufficient accountability mechanisms. If someone violates the rules and regulations of the policy, disciplinary actions must be taken against him/her. Regular assessment and review must be done properly. For the smooth functioning of the judiciary and on time justice to the citizens, NLP must be implemented quickly. As well as, it must be ensured that the disputes between two PSUs or departments must not go to the court. If such problems can be handled at ministerial level, then the pressure on the courts automatically is reduced.